AJS & Matchless Owners Club - View topic - Found a 1962 G15 Drag Bike. 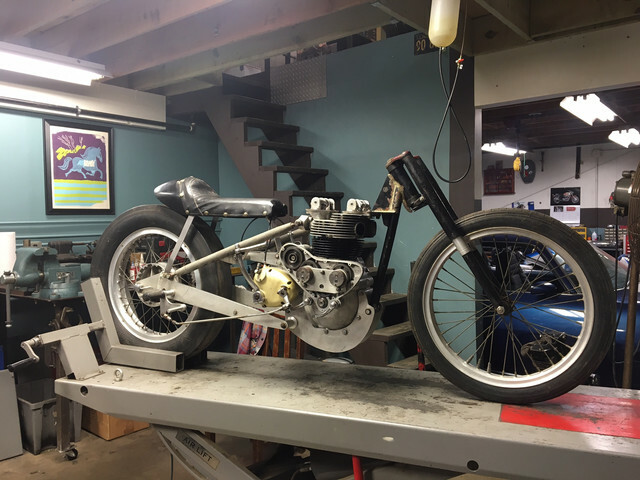 View topic - Found a 1962 G15 Drag Bike. Wanted to share a picture of this 1962 drag bike I've found. I'd be glad to share any details on it if anyone is interested. Going to get it running, for the occasional start up and put on display. Re: Found a 1962 G15 Drag Bike. I take it your bikes engine is a G15/45 738cc (45cubic inch), the engine serial number should tell you what you have. Surprised anyone would want to drag race a G15/45 though. Matchless made just over 200 G15/45's in 1962/3 mostly exported to the States ,basically a bored out 650cc G12, different heads, barrels and pistons. The G12 head gasket wont fit the G15/45 so you'll have to make your own up in solid copper and I would also fit uprated cylinder studs/nuts . Can you upload anymore pictures for us ? This link has a wealth of information , thanks to Christian Gyde of Denmark . Last edited by griffin on Sun Feb 26, 2017 11:45 pm, edited 2 times in total. Dutch?? Christian will be upset! The clue's in the address ( DK ). dave16mct wrote: Dutch?? Christian will be upset! The clue's in the address ( DK ). Thank you for the information, I was curious if a solid copper G12 gasket could be opened up to fit also? 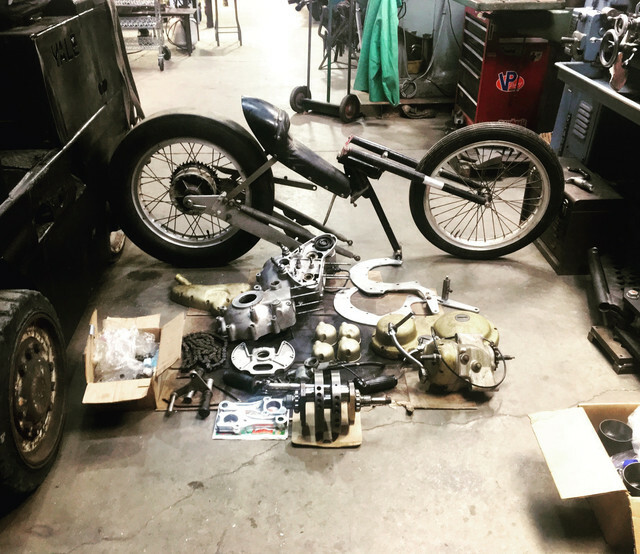 My first thought before purchasing the project was "why would someone want to build a drag bike from a matchless G15 motor" as I've read they have a bad rap for reliability and are going to be difficult to find parts for. My best guess to that question, is it appears to have been built when this motor/bike was new or only a couple years old. Cams are stamped "SS" and look welded and reground. Head is Ported and custom intake manifold is port matched. Here's some more pictures. Note the top end is only mocked up to test fit chassis and will need to be removed once top end gaskets are sourced or made. I was very impressed with how well thought out and good everything fit. My suspicion says this wasn't the builders first rodeo building a drag bike, digging now for history as the my seller knew nothing and was more of a "car guy". Yes the G12 copper gasket will fit but you will need to open up the 3.100" dia to 3.25" dia. Can't remember where I found the gasket drawing so apologies for not attributing it. Is that a piston from your engine in pic 2 ? If the pistons are 0.100" over the crankcase spigot will be wafer thin ! Std bore is 3.031" + 0.100" = 3.131" dia spigot dia is 3.240" wall thickness will be 0.110"~2 = 0.055 thou ! 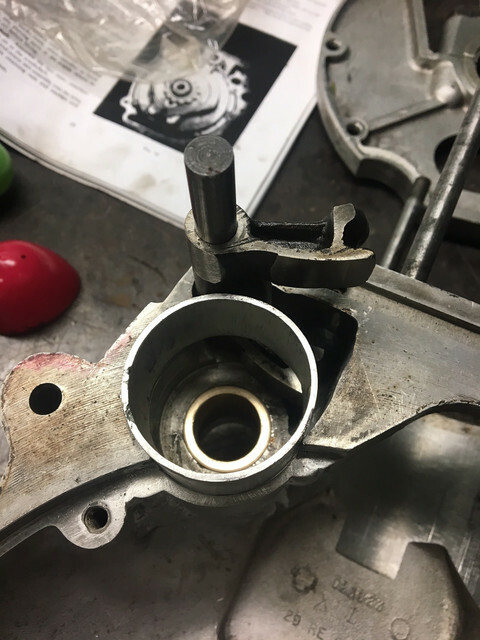 Perhaps your piston is from another bike /make ? 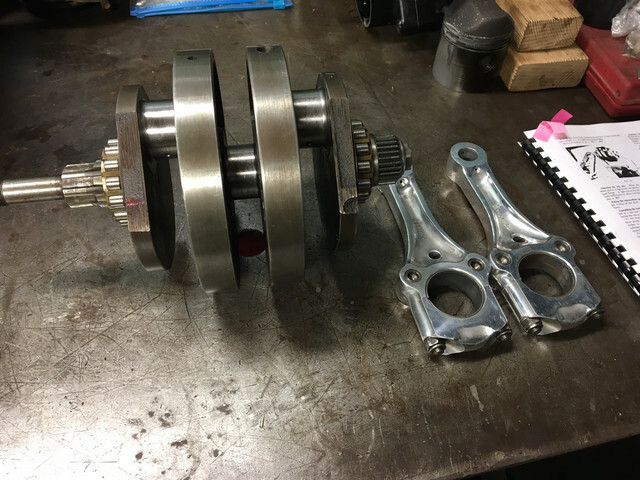 Seeing as you have a good workshop there I would make up some longer crankcase studs (5/16ths dia) in better matl along with long nuts and thick washers. You can then tighten the head down a little more than normal. I've been running my bike for over 10 years with no head issues. 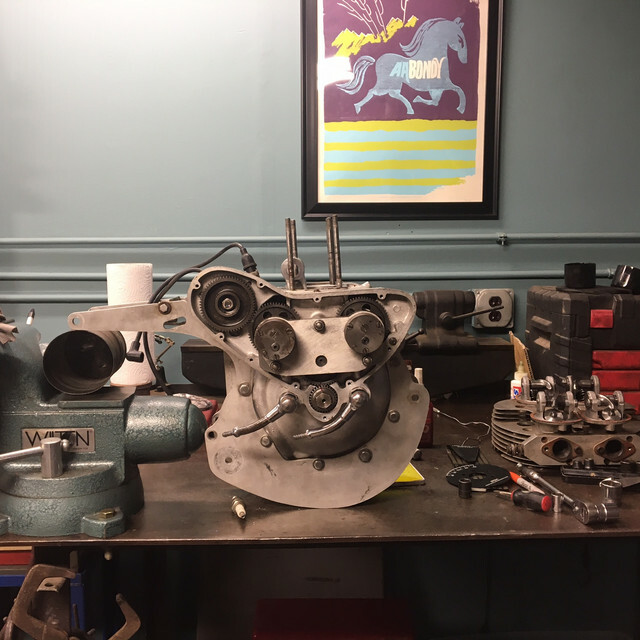 Mike Partridge of https://www.walridge.com/ sells a booklet about the '45' well worth buying , inside is a picture of engine 287 (1963). Detailed information about this maligned machine of which only 212 were made and yet over 60 are known to survive. 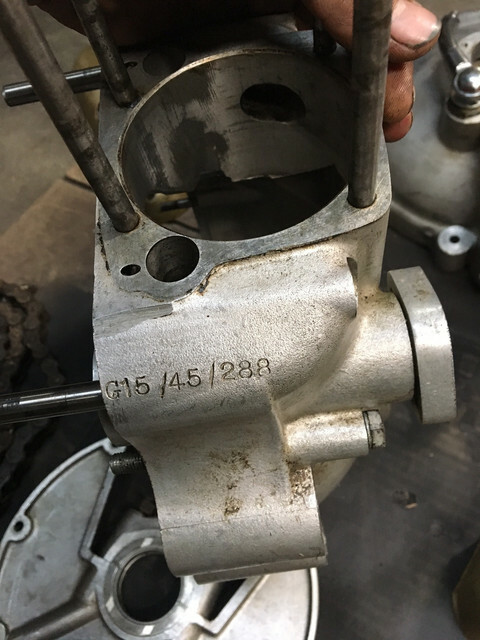 Why not fit another engine better suitable in your dragster, and refit this very rare engine in a G12 frame, to have a rare bike easy enough to restore. I think it is a sacrilege to risk breaking your engine by using it in an inappropriate way. Thanks again Chris! I've contacted AMC Spares and have the gaskets en route. 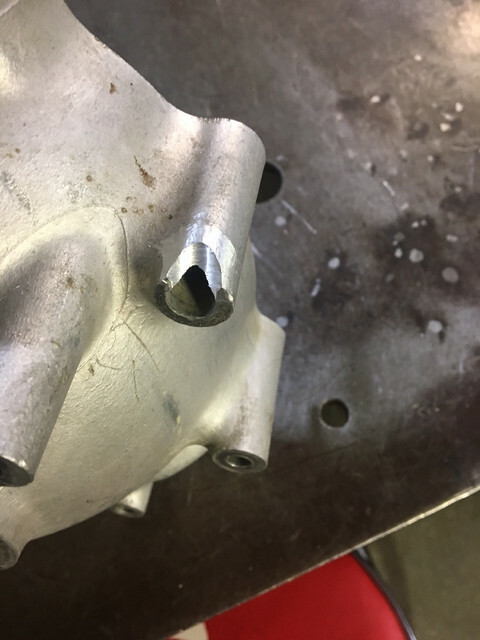 Believe I may turn some new studs up when placing the head/base gaskets per your recommendation. In response to Jean, opinions differ. I think it's sacrilege to tear this bike apart. If someone wants a stock example of this bike while rare they're out there and exist. I appreciate the ingenuity and work put into this drag bike and while I won't be running it down the track. I'd like for it to tick over, and putt down the street. You'd fall over if you saw my 59 DBD I'd imagine . 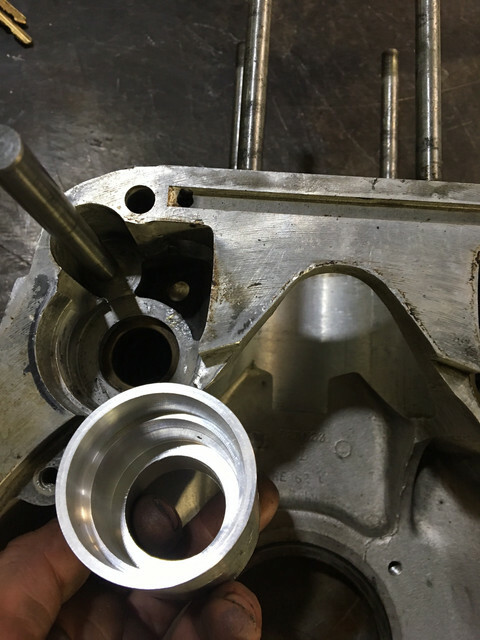 The design of the machine seems to place a lot of trust in the strength of the crankcase and cylinder heads. 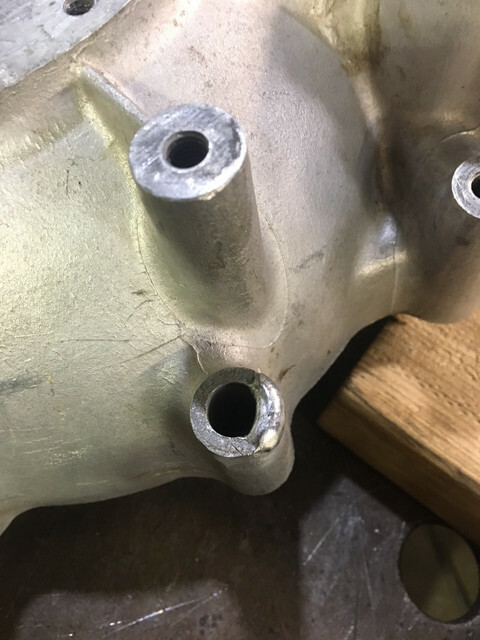 Looking at the anchor points of the front and rear frame on the cylinder heads, I believe you may have head gasket issues if the bike is run on the track. What carburetion does it run? 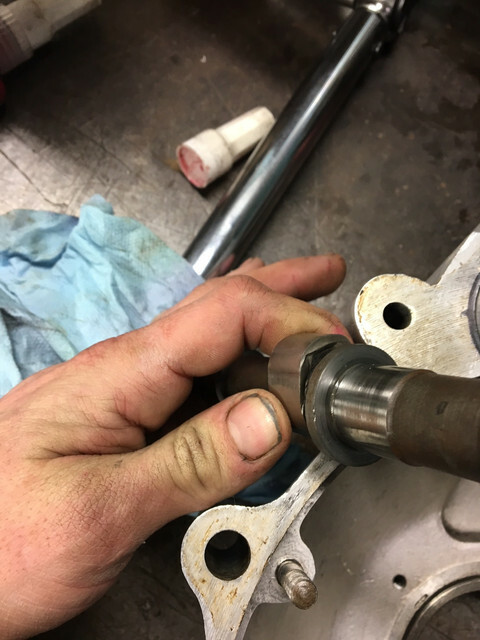 Note that the top bolt hole in the crankcase, just ahead of the barrels is also an oil gallery, so will need a copper washer under bolt head for sealing.